While his soldiers were rebuilding Malto, Lakor and Mehit, Lord Maximilian Damaximus was busy with organising the "Lakor Soccer Tournament". He also ordered the constructing of a Royal Palace, a residence that would fit his new royal title of "Prince of Garvey". Now he wasn't only a prince by marriage (as husband of Princess Margot of Eslandola), but also a prince by title. There are rooms for both the king of Eslandola and the king of Garvey. top view from far above the sky, it looks small, doesn't it? 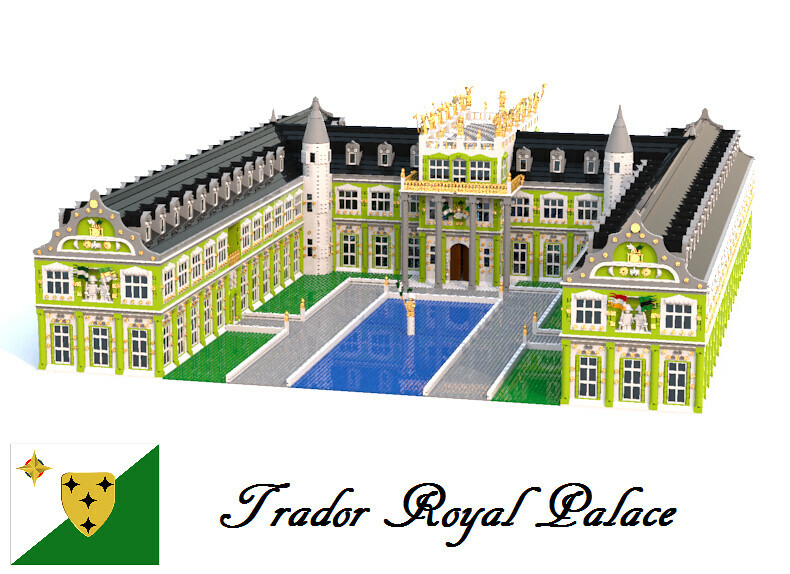 The dimensions are 160x192 studs and the palace will be licenced as a royal palace. Very impressive work, Maxim! I wouldn't have thought it, but that lime really works splendidly here, and your renderings are excellent as well! The statues on the boardwalk in the center, the ones on the front with the flags, and the roof windows are probably my favorite parts of this build. I really like the roof's ends too, though, and for some reason I'm loving that shot from the back - just such awesome colors and architecture there! Definitely a worthy addition to all the huge edifices in this bustling city! Oh-ho! 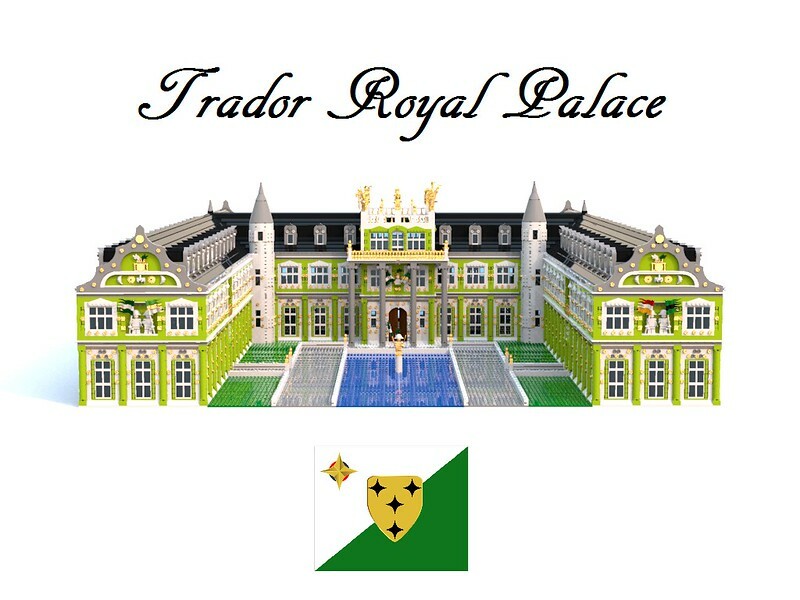 Is King Fernando planning on going on a visit to Trador? This is nice and huge!! Great job, very palatial. I really like all those golden statues you've put on top! Nice touch! 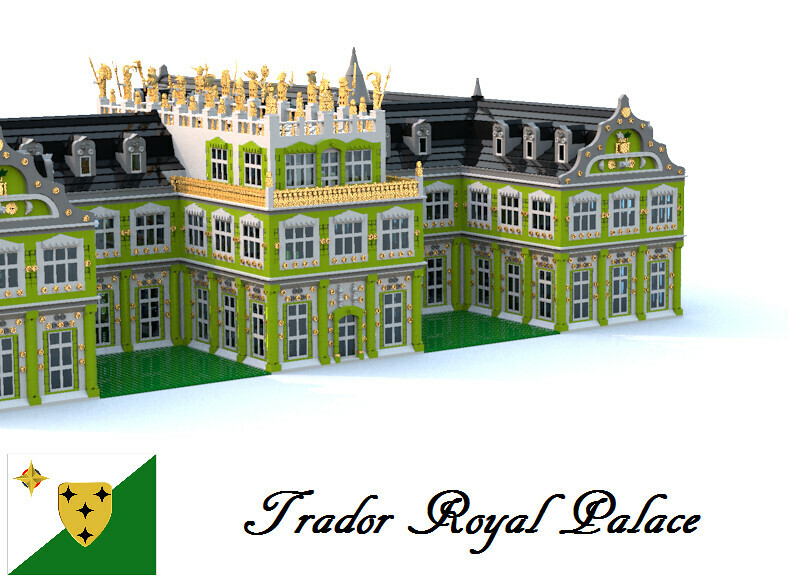 A very nice and detailed palace. I like the towers on the corners, they give a classic/medieval feel to a modern castle like this. Really impressive. Gorgeous! Truly an epic building! wow... thats something "Royal" for sure Maxim...! Nice one! Quite impressive, great work with fine design. This is beautiful. I don't know what to say about this creation. Im downright speechless. A true epic palace Maxim! I would never have thought lime green would have looked so good in this role! Everything is well done, the windows, roof, turrets... yep pretty much everything! 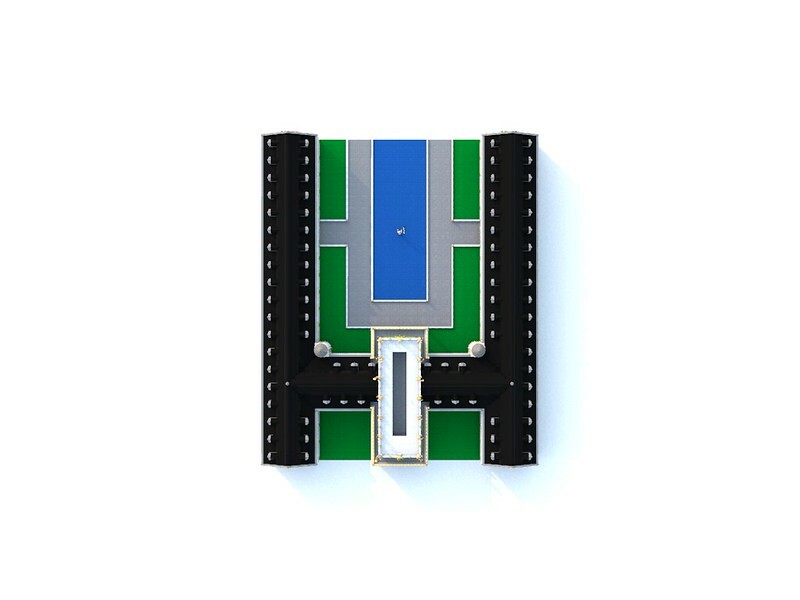 The shape is also really good - the U shape with the pond in the middle is something I think I will borrow at some stage. I can sympathise with LLD. It was the same for my last big LLD build (which yours dwarfs...) KB gave me some good tips to avoid crashes in that thread that I have yet to try out if you are interested. 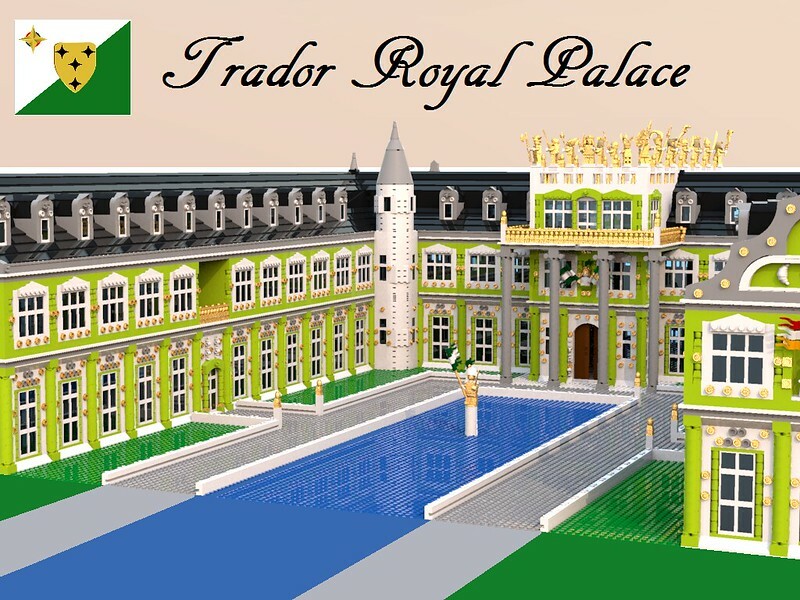 I really like the use of LLD for these grand builds as I makes things possible on a scale that is not really an option for most of us in real bricks. Wonderful palace Maxim. I think you have really the feel of a royal palace of the time, with all its modern elements mixed in with reminders of ages long past. All the little details and elaborate window frames and facades makes it look wonderfully baroque and its sheer size makes it a suitable residence for a Prince! Really cool build! 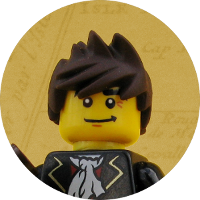 Trador is certainly shaping up to be a center of great importance in the Brick Seas!